William C. Jason Library provides access to a variety of research databases. This guide is designed as a one-stop-information resource to database research, ebooks, reference sources, AskRef, Post-a-Question and online catalog search tools. What do you need to check out books and access library ejournals and ebooks? Step 1 To access Jason Library electronic resources you will need your DSU ID card. Step 2 Input your 14 digit library number in the login box. Please contact Circulation @ 302.857.6191 if your library card number does not work. Due to vendor licensing agreements, access is restricted to Delaware State University students, faculty and staff. 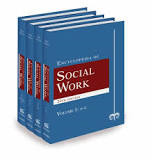 Social Work Encyclopedia contains four hundred subject entries and two hundred brief biographies of key figures in the history of social work. Clearly arranged in A-Z format, each article is fully cross-referenced and includes a select bibliography to guide interested readers to primary sources and the most important scholarly works on a given subject. 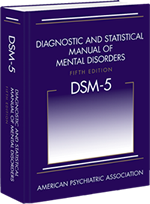 DSM-5® Diagnostic and Statistical Manual of Mental Disorders. The latest edition of the most comprehensive resource used by health professionals, social workers, and forensic and legal specialists to diagnose and classify mental disorders. It is the product of more than 10 years of effort by hundreds of international experts in all aspects of mental health. The Advances in Chemistry series, is a high-quality, peer-reviewed book series. The library has access to 1949 – 1998 published content and special topics beyond the scope of the existing ACS journals. ACS Symposium Series eBooks, are the high-quality, peer-reviewed materials that covers topics including agricultural and food chemistry, cellulose and renewable materials, chemical education, organic chemistry and polymer chemistry. Each chapter is authored by an expert in the field, and the collection of chapters edited by an internationally recognized leader in the field. The library has access to 1974 - 2011; 2014. DSU's Spinger eBook Collection includes several subject collections -- Earth and Environmental Sciences 2005-2009, Computer Science 2005-2009, Behavioral Science 2014-2015, and Biomedical and Life Sciences 2014-2015. PsychiatryOnline database offers the most comprehensive online access to psychiatric textbooks, journals, and professional development tools. This all-in-one virtual library provides psychiatrists and mental health professionals with key resources for diagnosis, treatment, research, and professional development. ProQuest Digital Dissertation is the largest single repository of graduate dissertations and theses. The database collection contains original research that can often be the only source of information on a given topic. The Encyclopedia of Global Human Migration provides a complete exploration of the prominent themes, events, and theoretical underpinnings of the movements of human populations from prehistory to the present day. It includes thematic interpretations and theories of migration, as well as the significant contemporary scientific discoveries and scholarly interpretations that have reshaped the way historians and social scientists analyze and map the past. ProQuest new platform is ebook central ® provides authoritative, full-text e-books in a wide range of information and subject areas. 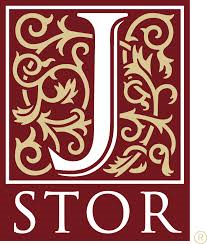 Currently William C. Jason Library has access to 172 electronic titles. SpringerOpen Access eBooks are freely and immediately available online at SpringerLink upon publication and are clearly labeled as 'open access'. They are accessible to anyone worldwide, which ensures distribution to the widest possible audience. Project MUSE OA provides fully open access (OA) books from several distinguished university presses. The books are provided through the permission of their publishers and are freely available to libraries and users around the world.